Stop Being Lazy With Your Sunscreen! So that title, huh? I'm definitely not the right person to be writing about applying sunscreen because honestly....I always forget. Lately I've been applying sunscreen everyday, no matter what. I was on vacation to the Bahamas and got sunburned pretty badly - second degree sunburns are no laughing matter. I should've reapplied sunscreen on my body after I got out of the water, and reapplied every 2 hours like the directions on the bottle stated, but I didn't so that's why I had blisters all over my legs. Fortunately, I applied sunscreen on my face and had a hat on so my face didn't get burned like the rest of my body. 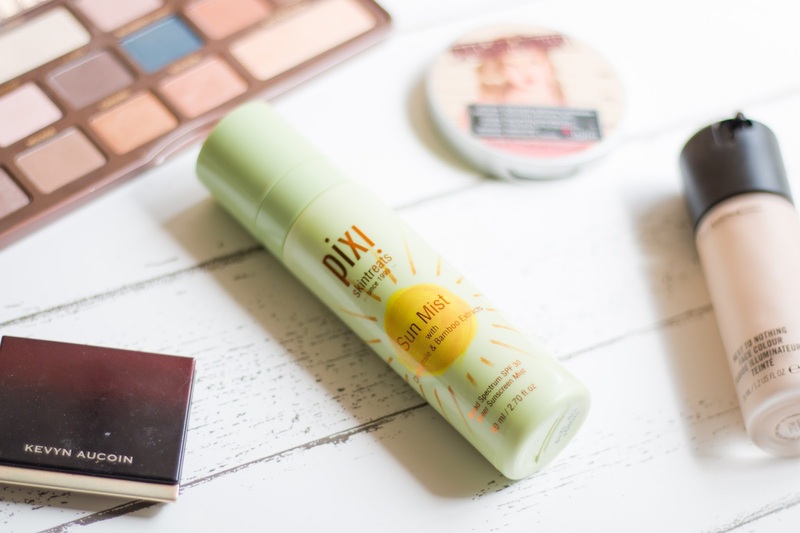 On vacation I brought the Pixi Skin Treats Sun Mist with me because I knew I would be lazy with my makeup and sunscreen. Most days I barely had time to apply any makeup, but I knew that sunscreen would be an essential because I'm so afraid of getting sun damage.